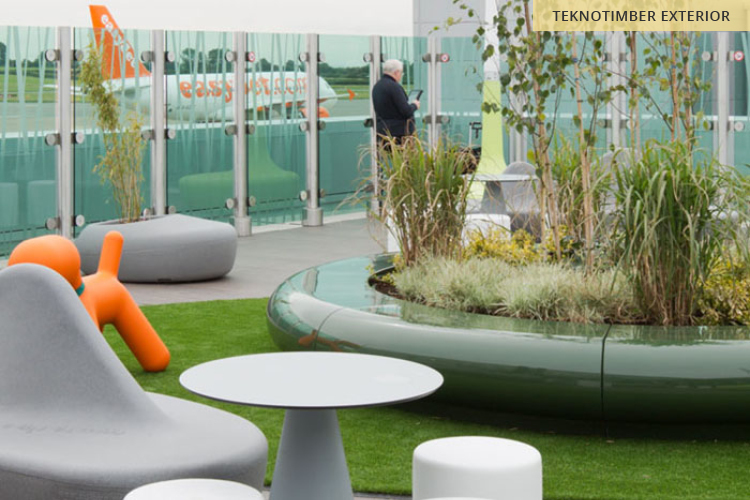 Following a 12-month build programme and an £8.6 million investment, the first of the two major extensions to Bristol Airport’s East Terminal is now open to passengers. 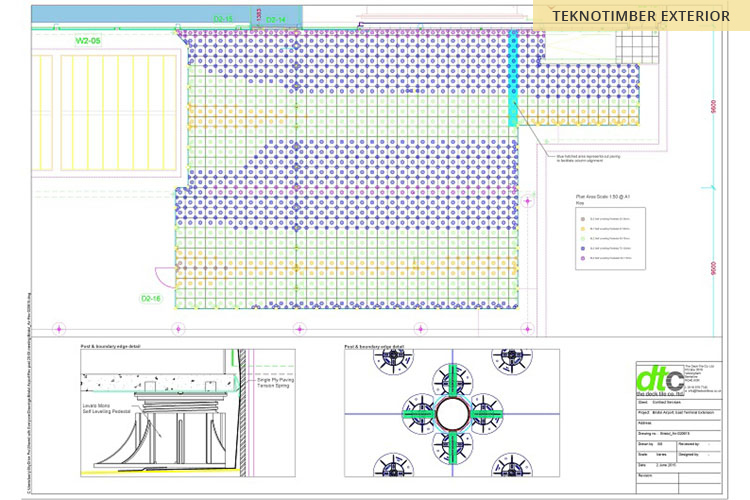 At the heart of the East Terminal extension is a significantly enlarged departure lounge. 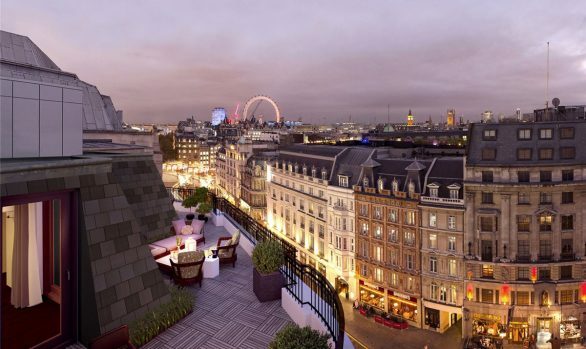 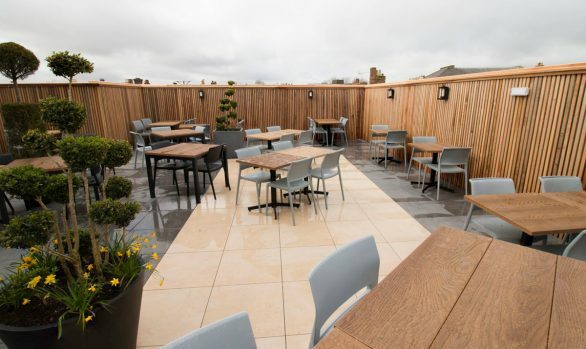 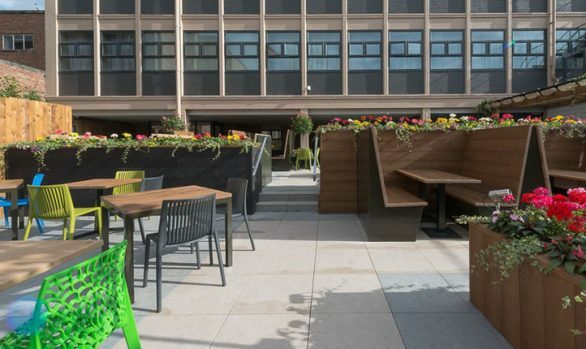 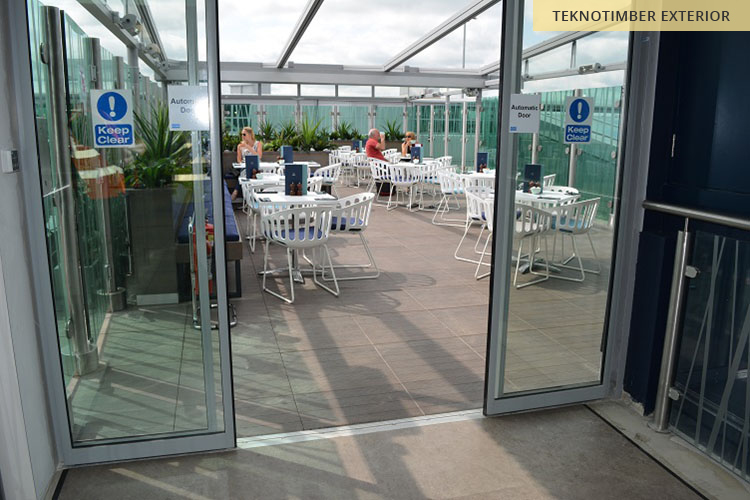 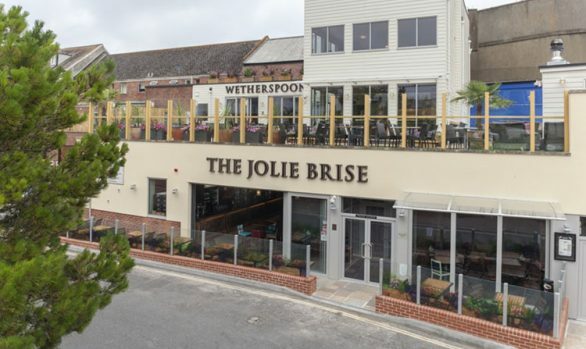 A standout feature of the new development is an outside terrace space with views of arriving and departing aircraft, which includes bar and restaurant seating under a retractable roof. 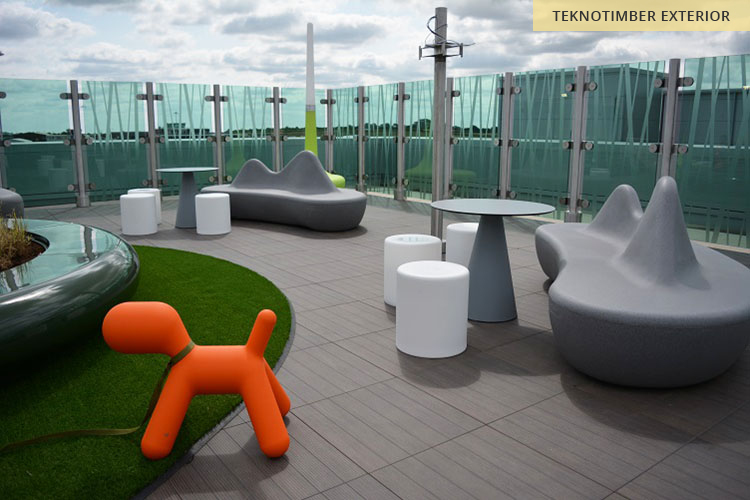 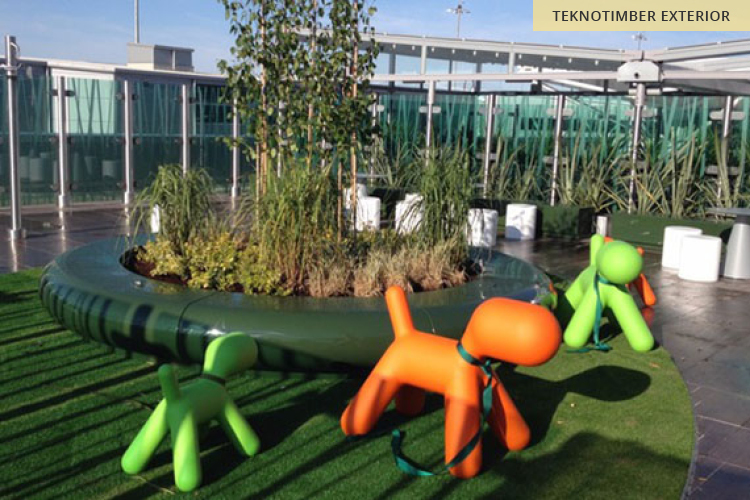 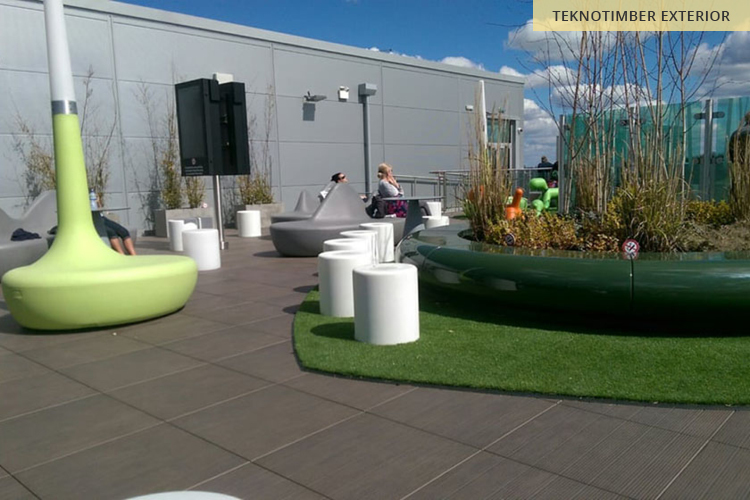 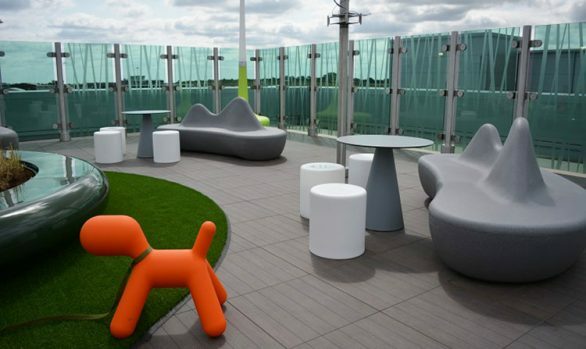 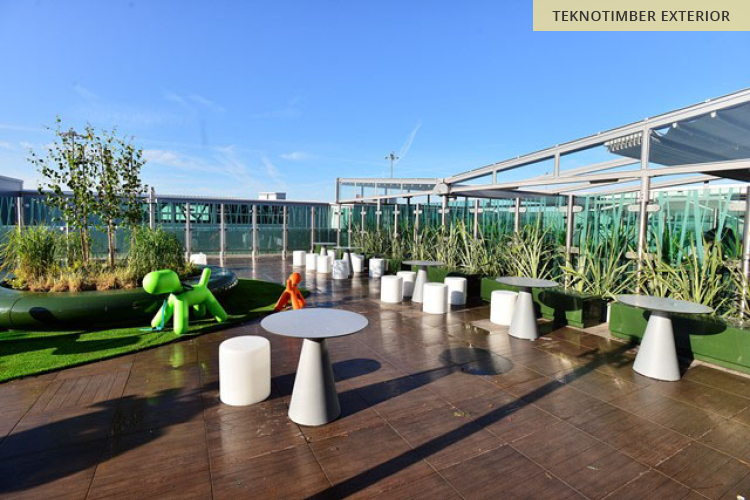 The exterior airside space spanning approximately 380m2 can also be accessed by those not dining, which features quirky sculptures atop the brand new timber decking effect, porcelain tiles installed by the Surface 360 team. 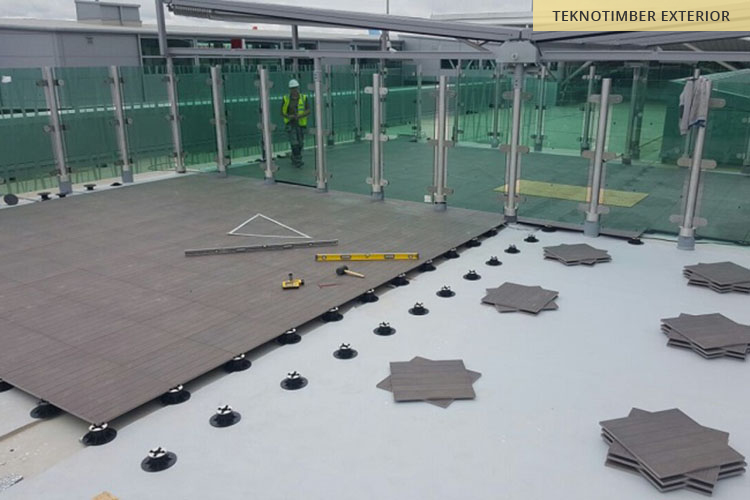 The Bristol Airport project was a particularly complicated installation with paving cut into and retained by circular stanchions, installed over single ply membrane with multiple falls. 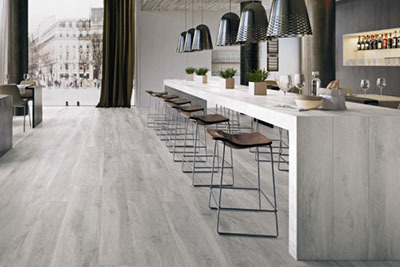 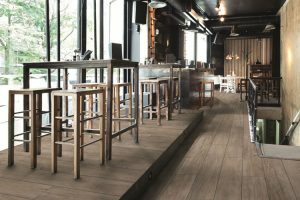 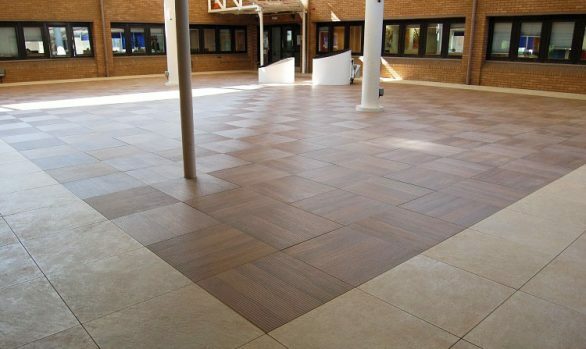 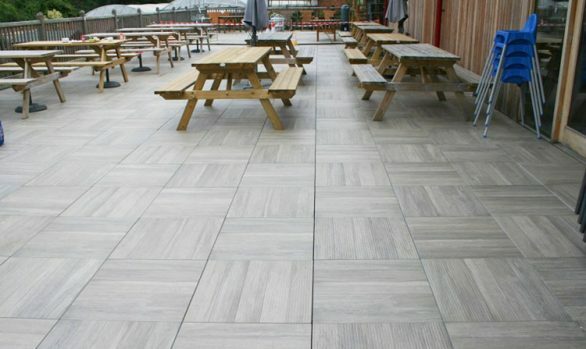 The new tiled flooring provides the airport with a conventional timber decking style, but due to it being made from 20mm porcelain, the material requires zero maintenance, offers a high level of slip resistance and an extremely durable surface for safety under foot. 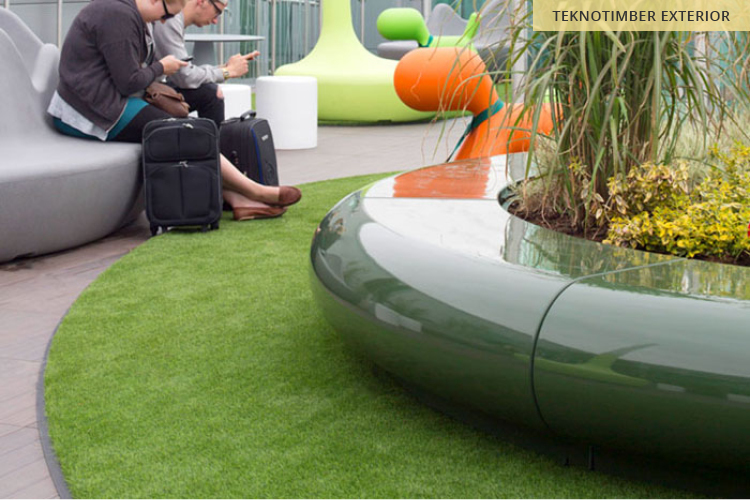 With a ribbed surface finish as standard, the Levato Mono TeknoTimber range is suitable for all weather conditions the airport may encounter. 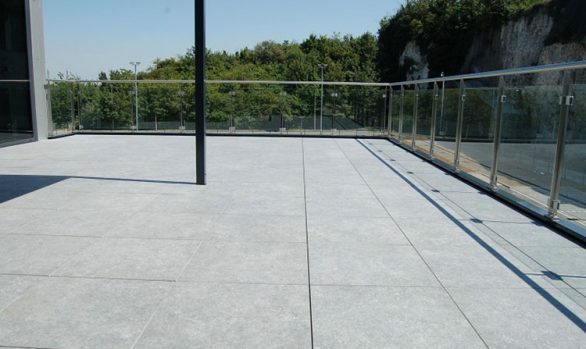 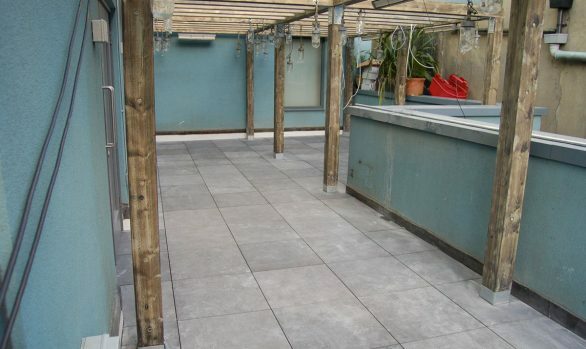 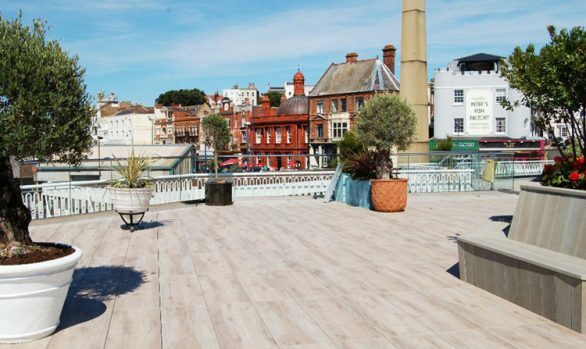 To raise the new exterior floor to the required level, the Surface 360 team used our height-adjustable pedestals to achieve a gain between 28mm – 170mm, while the pedestals’ self-levelling characteristic enabled the team to iron out any imperfections that occurred on the existing substrate. 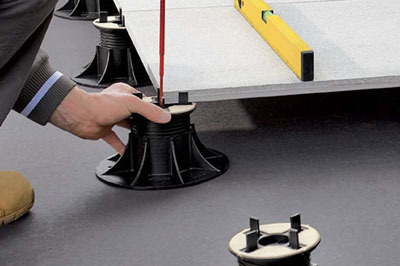 To prevent paving creep in the future and to lock all paving tiles into place, the team used their Retention Tension Springs. 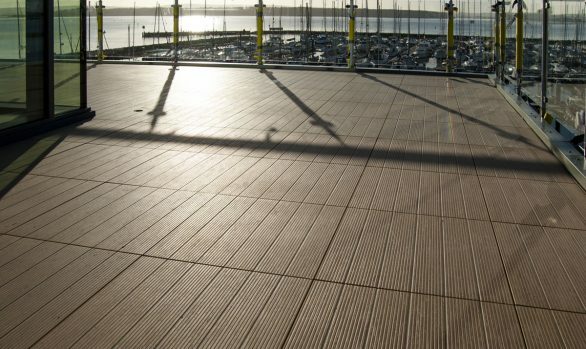 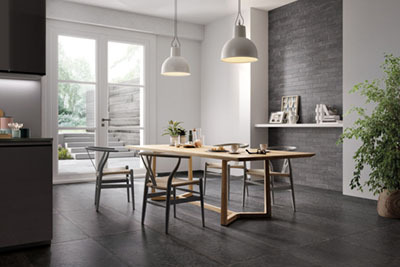 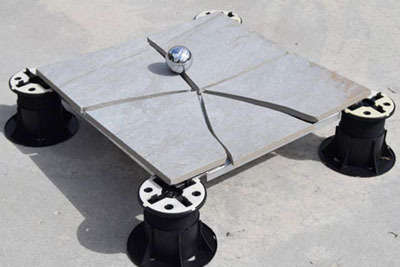 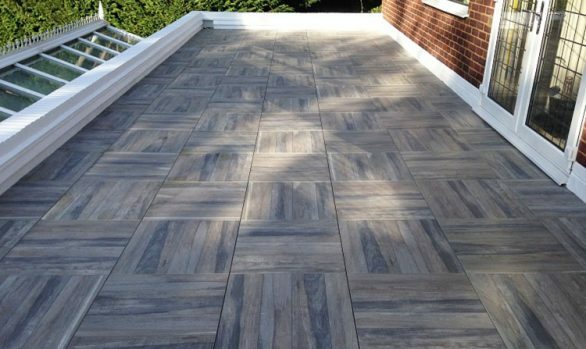 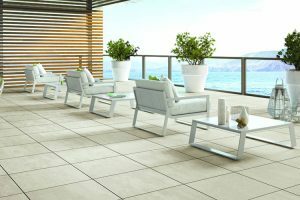 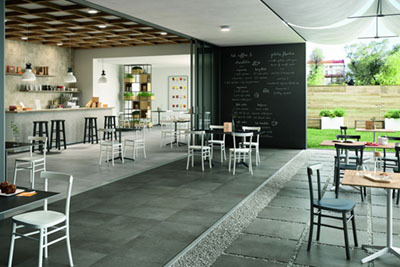 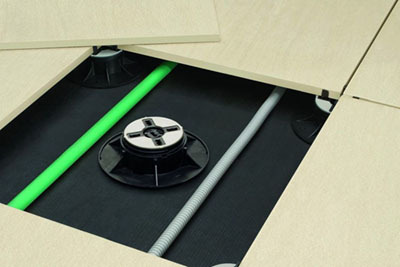 With curved exterior spring plate, the Tension Spring enables each tile to be pocked into place and helps avoid any contact between the paving tile and the perimeter. 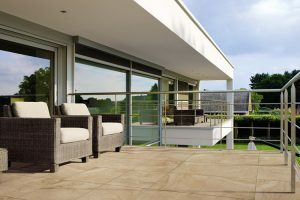 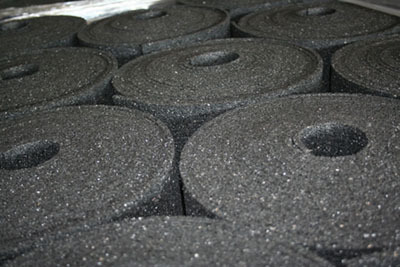 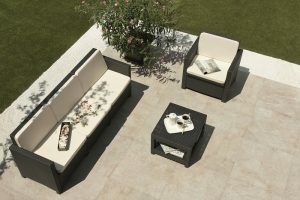 This is especially important when installing near glass balustrades and walling.